This post is kindly brought to you by Mālayā Organics, who compensated me for this sponsored post. All product descriptions, tips and opinions are my own! For Mālayā Organics founder Katya Slepak, her brand’s name stems from the beauty that can be found in traditions from around the world. From sandalwood forests (Sanskrit) to secret gardens (Shambala), ”malaya” means many things to many people. 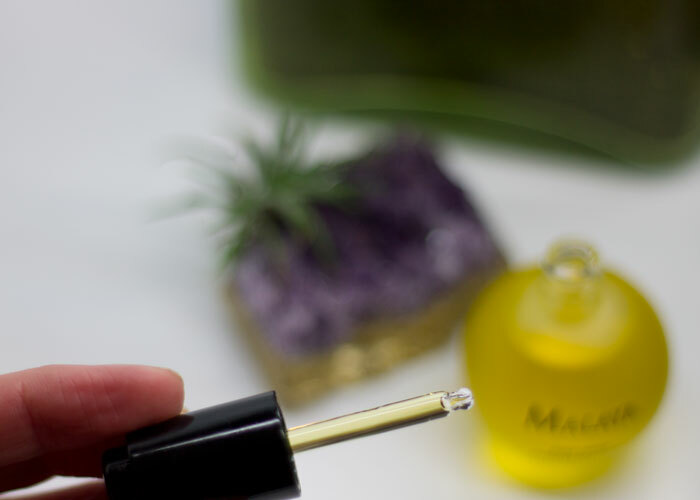 For beauty enthusiasts who have found her product line at ABC Carpet & Home, Anthropologie, Free People, Of a Kind and more, Mālayā Organics means high-quality botanical beauty. That’s thanks to Katya’s commitment to sourcing organic, wildcrafted ingredients to hand-craft in small batches for the utmost potency, efficacy and scent experience. With a collection that spans face, body, hair, bath and lips, Mālayā Organics can easily be your total-beauty destination for all your self-care needs. A cocktail of 26 active botanical ingredients that support skin health, Rejuvenating Face Serum speaks to the natural beauty who’s looking for a divine scent experience in her self-care routine. It’s designed for all skin types, including those with mature skin or problematic skin. A base of organic jojoba, sweet almond, camellia, sunflower, meadowfoam, argan, Siberian Cedar nut, reship, borage, avocado and pumpkin seed oils create a medium-to-dense textured oil that promises moisture replenishment and noticeably softer skin. Herbal extracts — including elderflower, rose petals, calendula, chamomile, lavender — combine with luscious floral essential oils and absolutes for a delicately sweet and sensual scent that will have any flower enthusiast ready to drench themselves in this face oil. Jojoba Oil*, Sweet Almond Oil*, Camellia Oil*, Sunflower Oil*, Meadowfoam Oil*, Argan Oil*, Siberian Pine Nut Oil^, Rosehip Oil*, Borage Oil*, Avocado Oil*, Pumpkin Seed Oil*, Herbal extracts – [Elder Flower*, Marshmallow Root*, Burdock Root*, Plantain Leaf*, Rose Petals*, Calendula Flower*, Chamomile Flower*, Yarrow Leaf and Flower*, Lavender Flower*], Proprietary blend of Essential Oils and Absolutes*^ including – Gardenia Absolute^, Bulgarian Rose Oil*, Jasmine Absolute*^, Neroli Oil*, Seabuckthorn Oil*, Sandalwood Oil*, Rosewood Oil^, Mixed tocopherols (vitamin E – GMO Free). If you’re a fan of gardenia, rose, jasmine and neroli, you’ll love the scent of this face oil. Bonus: It’s appropriate for both daytime and nighttime use, so if you fall in love with this oil, it could be your one and only. 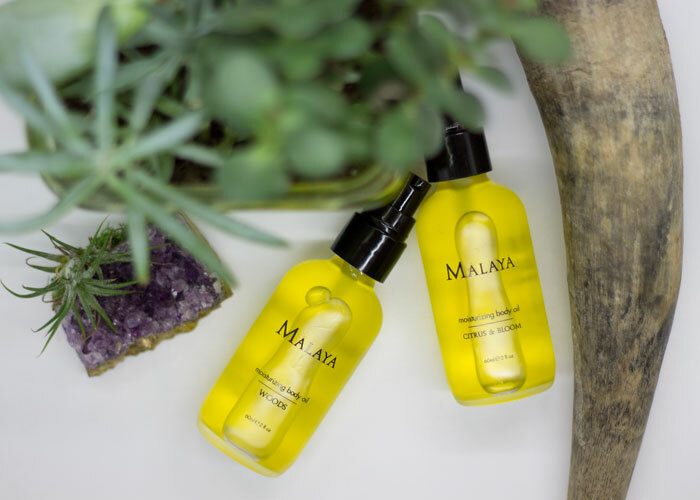 As a body oil addict, I personally am taken by Mālayā’s Moisturizing Body Oil. Clearly, Citrus & Bloom is my preference of the two scents currently offered, but it’s wonderful to see a brand offer two sides of the scent spectrum when it comes to body oils: Citrus & Bloom and Woods. For the person who loves florals cut with citrus, Citrus & Bloom offers a fusion of grapefruit, neroli, rose and jasmine. You get the best of both sensations with this body oil — uplifting and calm — thanks to this classy combination. For the person who wants a little greenery in her everyday scent, Woods offers a more mysterious scent, bathing your skin in bergamot, vetiver, sandalwood and Bulgarian rose. Just enough floral and citrus to make it light and happy, but with heaps of vetiver and sandalwood to keep it earthy and clean. Jojoba Oil*, Sweet Almond Oil*, Sunflower Oil*, Safflower Oil*, Argan Oil*, Avocado Oil*, Rosehips Oil*, Herbal extracts – [Arnica Flower*, Plantain Leaf*, Calendula Flower*, Chamomile Flower*, Yarrow Leaf and Flower*, Lavender Flower*, Elder Flower*], Proprietary blend of Essential Oils and Absolutes *^ including – Bergamot Oil*+, Bulgarian Rose Oil*, Sandalwood Oil*, Vetiver Oil*, Patchouli Oil*, Vitamin E Tocopherols (GMO Free). As for your skin, Mālayā Moisturizing Body Oils are made with organic jojoba, sweet almond, safflower, argan, avocado and rosehip oils for a comforting, cocooning texture that softens and spoils your skin. When oil enthusiasts say you can use oils from head to toe, they weren’t kidding. Hair oils are growing in popularity, and there are wonderful oils blends that can treat and protect all hair types. For dry hair and scalp, Mālayā Hair Oil brings relief via its blend of coconut, olive, argan, hemp, apricot kernel, jojoba, sweet almond, avocado, sunflower and borage oils. Though it’s a heavier blend, it’s a dream for all hair types in need of an intense moisture treatment. Simply massage a quarter-sized amount of oil into your scalp, roots to ends, and brush it through with a wide-tooth comb. Leaving it in overnight (and shampooing out in the morning) will yield softness, smoothness and comfort. As a styling oil for thick, dry hair, add a few drops to your palms and gently work it into your ends or wherever you need a little sleekness, texture or frizz reduction. If you have fine, oily hair, you can still use hair oil to create sleek, texturized and shiny looks with just a drop or two. 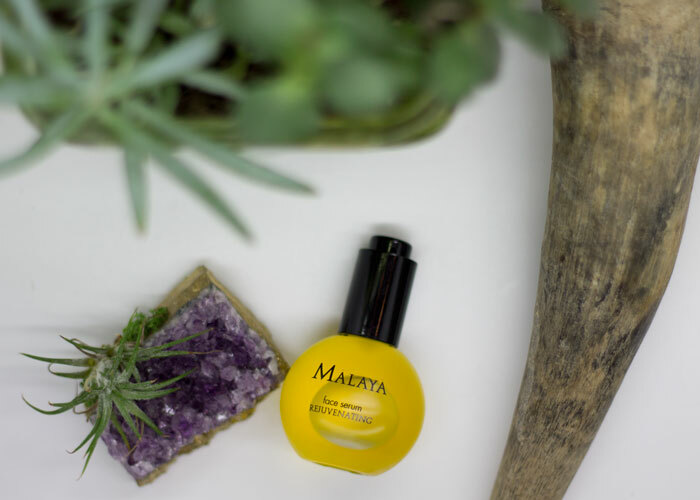 No matter how you use it, in true Mālayā fashion, the scent experience will be divine — herbal and floral, thanks to rosemary, nettle, lavender, chamomile, clary sage, rose and geranium. Coconut Oil*, Olive Oil*, Argan Oil*, Hemp Oil*, Apricot Kernel Oil*, Jojoba Oil*, Sweet Almond Oil*, Avocado Oil*, Sunflower Oil*, Borage Oil*, Herbal extracts – [Rosemary Leaf*, Nettle Leaf*, Lavender Flower*, Chamomile Flower*, Elder Flower*], Proprietary blend of Essential Oils and Absolutes * including – Clary Sage Oil*, Bulgarian Rose Absolute*, Sandalwood Oil* and Geranium Oil* (ideal for falling and dry hair), Vitamin E Tocopherols (GMO Free). If you’re excited to try Mālayā Organics, use code KIMLOC for 15% off! Domestic shipping is always free on orders over $100. Have you tried anything from Mālayā Organics? What are your favorite oil-based product categories? Tell me in the comments!